Puramag™ magnetic beads are uniformly coated with carboxylic acid groups. They can be used for nucleic acid isolation in molecular biology and diagnostic immunoassays. The beads feature high binding capacity and high sensitivity. They are stable in a variety of solvents including deionized water, common buffers and various detergents. 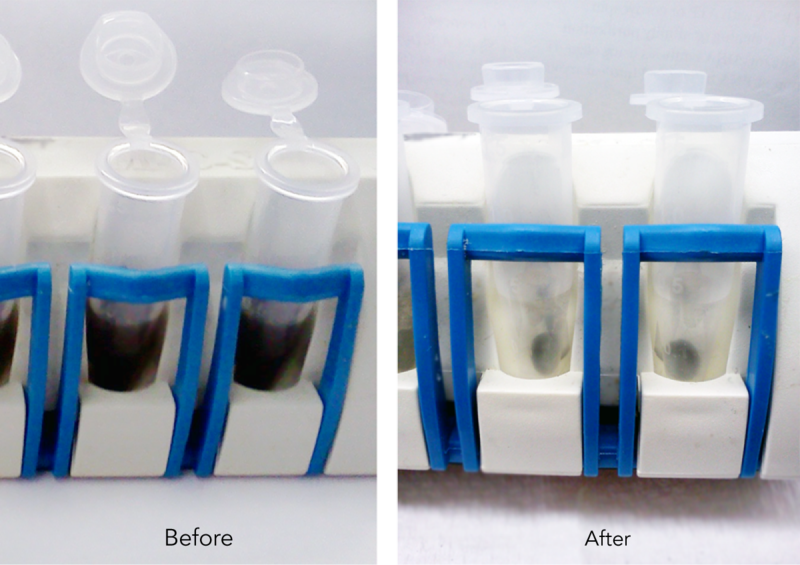 The beads are highly responsive to an external magnetic field, thereby enabling quick separation from solution. Guanidinium thiocyanate; DMF and DMSO to 100% Sonication; environments PCR temperature cycling.